Makati is a busy city, with a lot of business centers and so many successful businessmen from all over the world doing business on a daily basis, this city is the beating heart of the Philippines economy. 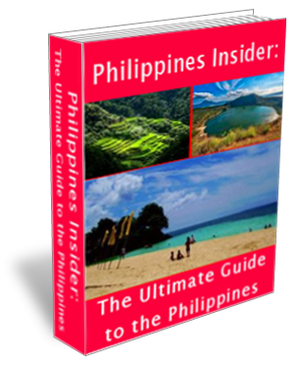 This is the place where you can find the largest concentration of expat communities as well as embassies of various countries that have diplomatic relationships with the Philippines. 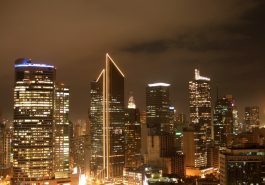 That’s why Makati is also considered as an important city for intercontinental matters. However, Makati is not just about business, international politics and other serious stuff. After business hours and the night comes, the city transforms into the most vibrant party area with various Makati nightlife venues offering all kinds of nightlife entertainment. This city has everything from great restaurants, clubs with live music, dance clubs, go go bars, regular bars, and others. Depends on your personal preference, Makati nightlife has something for everyone to enjoy. This is a large complex of shopping mall that has five sections with various nightclubs, lounges and bars in the area. From Greenbelt section two all the way through section five, you will find various venues with different atmospheres and types of entertainment. So take your time, just look around first and enjoy the sight before you actually choose a place where you want to spend your night. Most venues in Greenbelt are open at 11 am, but usually you won’t see a crowd until at least 5 pm, and usually these places remain crowded until 2 am. Happy hour is usually offered from 5 pm to 8 pm, during that time span you will get a great deal on food and drinks. One great thing about the venues in Greenbelt is mostly (if not all) they don’t have a demanding dress code. So you can just wear anything casual, it’s always great to be able to party without dressing up too much. This area is full of disco bars and go go bars, especially after the red light district in Makati was gentrified. A lot of Makati nightlife establishments from that red light district moved to Burgos Street and do business in this area ever since. If at the Greenbelt Complex mostly you can only party until 2 am, at Burgos Street you party all night long until the sun comes up, because almost all of the venues here are open nearly 24 hours. You can find all kinds of Makati nightlife venues in this area, from regular sports bars and restaurants to unusual venues like Ringside Bar, where you enjoy drinks on the ringside while watching different kinds of boxing. Sometimes they will ask the visitors to act as referees, but usually the volunteer is expected to buy drinks for the fighters after the match. Café Cubana Makati is another popular venue on Burgos Street. This exotic place is open 24/7. Just hearing about it, many people will think that it’s just a restaurant, but the truth is that it’s way more than just a restaurant. When you visit this place, you will feel as if you’re in Cuba. Everything from the building, the staff, and the entertainment will make you feel as if you’re enjoying food and cocktails in Havana. Café Cubana Makati has a long list of mouthwatering Cuban foods and drinks. Happy hour is offered from 2 pm to 7 pm everyday. Located in Bel Air Village, here you can find a lot of bars and restaurants. Pino Bar, Sid’s Bar, The Distillery, The Strumm’s and Buddha Bar are some of the most popular venues in this area. The Distillery and Buddha Bar are probably the top two places where people hang out. These bars have all kinds of drinks including rare foreign beers. If you prefer to spend your night in a high end bar, Makati also have a lot of classy bars that you can choose from. Long Bar is one of the best bars in the city that has an international reputation. It’s located at the Raffles Hotel and most known for its international beer and cocktails, but also offers some nice food in the menu. Some recommended drinks in this bar include Singapore Sling Cocktail, that’s originally created at Long Bar in Singapore and Manila Sling, which is a high-class cocktail served with gold leafs on top. Long Bar is a fantastic place for a couple to spend time at night. It also has a smart casual dress code, so you don’t have to dress up too much but you definitely cannot wear your flip-flops.